Autumn is here and academics are going back to school. 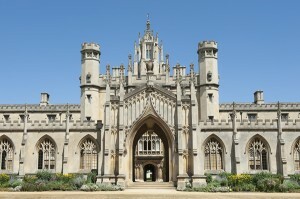 None will be more pleased than those in St. John's College, Cambridge, who, according to Stephen Payne of B.E.G., will now be enjoying automated lighting and lower bills in their refurbished New Court building. In his case study, Stephen describes the considerations and solutions when adding control to architecturally-sensitive buildings such as this. Fresh from the CEDIA Expo in San Diego, USA, Simon Buddle has been inspired to inform us about water leak detection in KNX installations. Simon discusses the different types of technology available to detect leaks and prevent potentially ruinous damage to your clients' buildings. Following on from Jesus Arias' overview of KNX RF last month, Christian Gossé of Actimage, explains how KNX RF is being used with the Linky smart meter that is being rolled out across France. This will give people the ability to monitor their energy usage and control their domestic appliances in intelligent ways in order to consume less energy and make the most of cheaper tariffs. Given the recent IPCC report on global warming, Christian's article is certainly on message. And finally, also fresh from CEDIA Expo, Mark Warburton of Ivory Egg reminds us that we can sometimes get stuck in our ways when it comes to programming. He points out that the release of ETS5.5 saw the Channels and Functions method of programming become fully functional. This provides a completely different approach to linking objects with group addresses, and once setup, can lead to major time savings, as can the new room labels and icons feature. 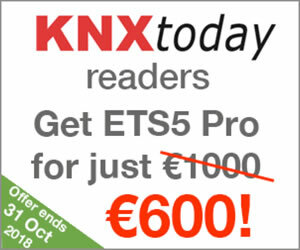 We have a fantastic group discount for our readers this month - a massive €400 reduction on the cost of ETS5 Pro! For details and to take part click here. If you would like to update or unsubscribe from this newsletter, please use the link below. If you are reading someone else's copy and would like your own, please complete our registration form. By registering you will receive a free subscription every month with the option to unsubscribe at any time, and we guarantee that we will not sell/pass your details to any third party. 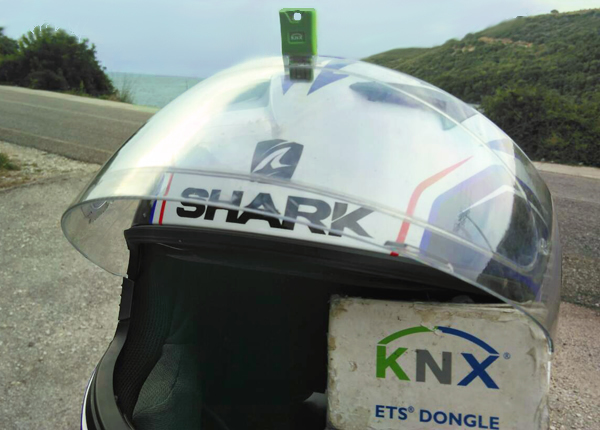 The ETS Dongle hitching a ride to Lefkara, Greece, on the motorbike of Pandelis Pahidis of Pandelis Systems.